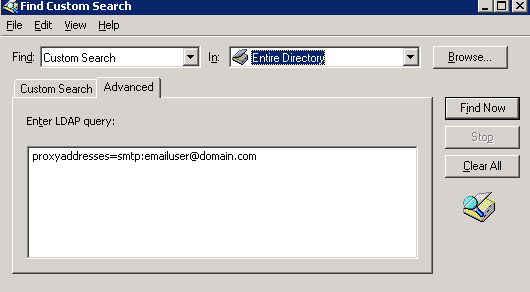 When programtically writing contacts to a directory the application you are using may not have a mechanism in place that automatically checks to see if an smtp address already exists. Duplicate smtp addresses will generate event id’s and will cause NDR’s as Exchange will drop a message when more than one object has the same SMTP address. Event Type: Error Event Source: MSExchangeTransport Event Category: (9) Event ID: 9217 Date: 7/6/2012 Time: 2:02:18 PM User: N/A Computer: mailserver.domain.com Description: More than one Active Directory object is configured with the recipient address smtpaddress@domain.com. Messages to this recipient will be deferred until the configuration is corrected in Active Directory.